PROJECTTITLES4FREE page has been created two year ago, over the past two years we got good response from the users. We hope the information provided in this blog helped someone by some means. 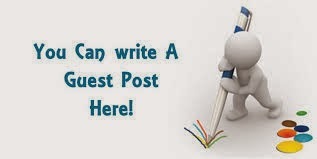 And if you like your content to be published in this page and if you're interested in guest posting opportunities at projecttitles4free.com. Please read through the guidelines before submitting your article. Ø Increase your online presence. Ø Drive traffic to your website or blog and expose it to new audience. As stated above you will get to add two do-follow links in your author bio. As a bonus you can add an extra link to one of your social profiles, this link will however have a no-follow attribute added. We accept and recommend rel="author" links connected to your Google+ account, This will act as a social link and not be counted as one of your two main links. We will not publish posts with links to off topic sites such as Credit Card Sites, Loan and General finance sites, Gambling sites etc. We will not accept very long tail keywords as anchor text.Sure; you can use keywords as anchor text but don't go crazy 2-3 words should be enough for even the most ambitious of us. Your article must be original, unique, well-researched and exclusive for projecttitles4free. 2. Please attach at least a picture relevant to the topic (and include image credits when necessary). 3. It must be 700 words or more. Split your article into small paragraphs and include several sub headlines. 4. Please add your byline at the end of the article. You can include up to two links in the byline. - An author image, An Image of yourself we can add to the author bio section, this makes the post more personal. The perfect size is 100x100px. - A post image, All posts have an Image floated right at the top.If you could add a relevant image that would be great. Please include the post in the body of the email itself, or as an attachment in .txt, .doc or .docx format. Also attach the image for your post. Please include a sampling of your previous work ie. links to 2–3 blog posts you have written.